Though small crossovers have become more popular in recent years, midsize sedans are still one of the top choices for family-friendly transportation. This segment is so important to automakers that a few of the most popular models have been redesigned or notably freshened for the 2018 model year. Unfortunately, the 2018 Nissan Altima is not one of them. We''''ve generally like the Altima over the years, but this particular generation is getting on in years. 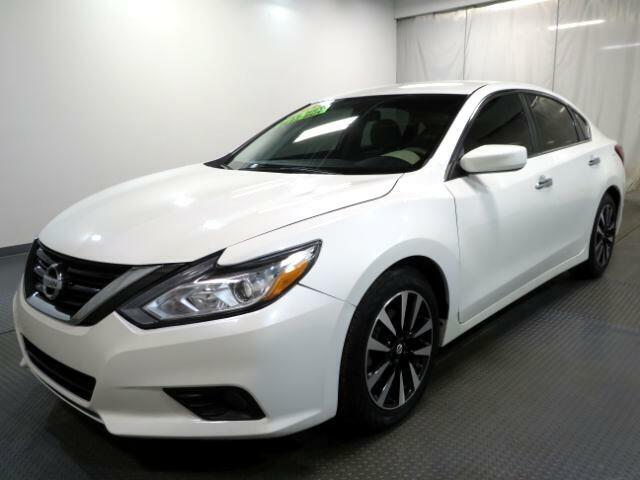 The newest crop of rival sedans further highlights the Altima''''s deficiencies in the areas of technology, interior quality and performance. CLEAN CARFAX - 1 OWNER VEHICLE***Internet special. Price reflects discount for cash buyers. Traditional and special financing is available for qualified buyers. Please contact us first for availability as our cars go fast at near wholesale prices. Prices are subject to change. Sales Tax, Title, License Fee, Registration Fee, Dealer Documentary Fee, Finance Charges, Emission Testing Fees and Compliance Fees are additional to the advertised price. All options and condition of the vehicles must be verified with the dealer, any descriptions or options that are listed maybe incorrect due to automatic data transfer.